If you’ve ever shopped online, you know that sometimes what you see is not always what you get. While it’s very convenient to shop online, it’s difficult to know the quality of the purchase until it is in hand. Unfortunately for several customers that have shopped at Zcrave .com, what they got was far less appealing than what was advertised to them online. Here’s the catch: If you’ve ever shopped online, you know that sometimes what you see is not always what you get. While it’s very convenient to shop online, it’s difficult to know the quality of the purchase until it is in hand. Unfortunately for several customers that have shopped at Zcrave .com, what they got was far less appealing than what was advertised to them online. To make things worse, getting a refund for their unhappy purchase has been far more difficult. 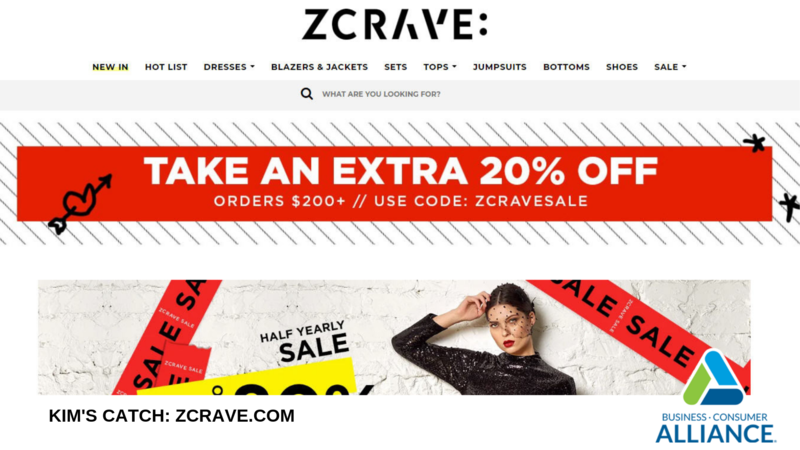 Zcrave is an online retailer advertising “high quality fashion products at down-to-earth prices.” Their website, Instagram, and Facebook pages display alluring photos of high fashion attire for discounted prices. However, many of the photos appear to be taken from other websites and popular designers not affiliated with Zcrave. For example, while looking at shoes on Zcrave.com, I came across a pair of unique waist-high satin boots advertised at a discounted price of $284.00. 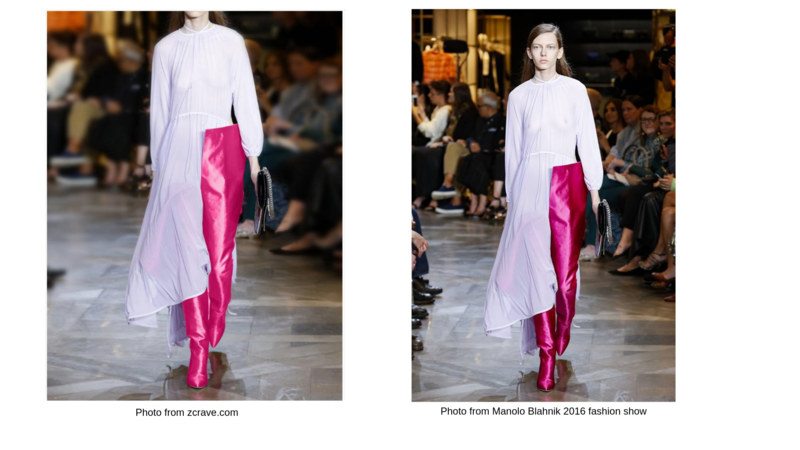 A search of the image turned out to be from a Manolo Blahnik fashion show from 2016. Zcrave.com website altered the photo to remove the models face. No doubt many online retailers advertise their version of high-end apparel for modest prices, and Zcrave’s own “About Us” claims to take inspiration from global trends, but it is far less than honest to display the real design as the one that is being sold to customers. Zcrave has an F rating with Business Consumer Alliance due primarily to their failing to respond to their customer complaints. They also have a 1 star rating in consumer reviews, which you can read on BCA’s Zcrave review page. Some consumers have stated they were only able to get their money back by filing a dispute with their credit card company, bank, or through PayPal. Some have also reported the company to Instagram and Facebook for fraud. Carefully read the description of the item and check the sizing chart to make sure you are ordering merchandise in the correct size. There are countless online retailers that sell items shipped from China. In many cases, the sizes run smaller than U.S. sizes. Check for contact information so you can reach the business should you have any issues. If they only offer email support or the only way to reach the business is through their website, use caution. Search for reviews and complaints. Some may include actual photos of the products and apparel that the company sends. This way you can see firsthand what the actual item looks like instead of only relying on the company’s advertising. Read the company’s policies. Some businesses have strict policies regarding returns, exchanges, and shipping. Check out the retailer by visiting www.checkbca.org to look up the company’s reputation report. Pay with your credit card for added protections. Online purchases made by credit card are protected by the Fair Credit Billing Act, a law that allows the purchaser to dispute charges under certain circumstances. Business Consumer Alliance receives a great number of complaints regarding online retailers. Customers need to be on guard and cautious when engaging in online shopping. BCA offers an excellent guide, “Online Shopping Tips”, to aid in your online shopping experience. And don’t forget, if you run into an online scam or have a problem with a business, don’t hesitate to file a complaint.